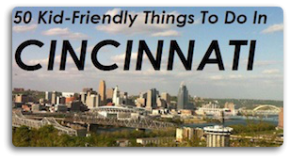 All year long, on both sides of the Ohio River, there are some awesome festivals in Cincinnati & Northern Kentucky! There are music festivals, book festivals, cultural festivals, food festivals, and the list goes on and on. We’ve put together a list of some of the festivals going on around town so you can find some fun festivals for your family. Hopefully this list will help you remember old favorites and find new festivals to explore! Appalachian Festival May 6th – May 8th, or every Mothers Day Weekend Old Coney Island, Anderson township “We are a family oriented festival which celebrates our Appalachian Heritage thru entertainment, crafts, food, displays, Living History demonstrations, music, dance, storytelling all with Appalachian Connections. There is always something happening to entertain adults and children alike. We are the first large outdoor festival in the Greater Cincinnati Region each year. Plenty of parking and a low cost way to have family fun while contributing to the ACDA goal of helping our regional Appalachian descendants with food and educational grants. Clay Alliance Spring Pottery Fair May 7, 2016 DeSales Corner, Woodburn Ave. This is the premier pottery fair in the region. Over 50 of the best potters in our area unveil their latest creations in one of the most actively rejuvenating areas of the city. It is a great day to spend with the family on Mother’s Day weekend, see what the artists providing the dishes and serving ware for the trendiest new eateries are up to, or to find that truly exciting center piece that you were looking for. Join us for an excursion into local handmade ceramics of wide ranging uses and stay to explore this historic yet growing neighborhood. CincItalia 5/13-5/15 Harvest Home Park Fairgrounds – 3961 North Bend Road in Cheviot CincItalia is Cincinnati’s true celebration of Italian heritage. The three-day festival is a showcase of Italian culture – offering entertainment from national music acts, cooking demonstrations, carnival rides, games, and authentic cuisine prepared by Italian restaurants and Cincinnati’s Italian cultural societies. Funds raised during the three-day CincItalia celebration allow Saint Catharine of Siena Parish and School to provide for the spiritual and educational needs of the Westwood community, as they have proudly done for more than 100 years. The festival also benefits San Antonio Italian Church and scholarship funds of the Italian societies. Friday is adults 19+, Saturday and Sunday are family friendly! Germania Maifest 5/13/2016 – 5/15/2016 Germania Society of Cincinnati 3529 West Kemper Road Cincinnati, Ohio 45251 Only $3, plus FREE Parking. 12 and under free. Free admission to active and retired military with current ID card. Maifest is the traditional German celebration of spring. Each year the Germania Society raises a stein to the blooming flowers and warming weather with our own Maifest celebration — the most authentic in Cincinnati. Members of the Germania Society are planting flowers, grooming the manicured wiesen (event meadow), preparing the wooded picnic grove, and decorating the pavilion in preparation for this year’s Maifest celebration! Stroll the beautiful Germania Park grounds surrounded by nature while enjoying traditional food, drink, and entertainment. Our fest features traditional German food, including whole roasted hogs, ruebens, wursts, and delicious German pastries. There’s live music (both German and American), dancing, and the crowning of the Mai Queen. We have carnival rides, games for kids, as well as games of skill and chance for the big kids, including Blackjack (on Saturday and Sunday only.) There is also a Kiddie Corner. Imported German merchandise and gifts, as well as local craft products will be for sale. And make sure you visit the spring flower market — just in time for planting! Our Lady Of Victory Festival May 20, 21, and 22 810 Neeb Road Cincinnati, OH 45233 Food, fun, games, prizes, bid n buy, Texas hold em, Live Music by Oh Brother Friday night, Rusty Griswolds Saturday night and Nick Netherton Band Sunday night. Braxton Brewing company and more. Taste of Cincinnati ~ May 28-30, 5th Street in Downtown Cincinnati. Try delicious food from over 4o different Greater Cincinnati restaurants, listen to awesome live music and try some local brews. World Music Fest ~ Saturday, June 11th Locations/Venues: Baker Hunt, Inspirado, BLDG, Pique, San Miguel, Leapin’ Lizard & Braxton Brewing ~ A one day festival geared toward promoting crosscultural understanding and appreciation of diverse music, dance, food and traditions from around the globe. St. Veronica June 24-26 4473 Mt. Carmel Tobasco Rd, Cincinnati 45244 Great live music, indoor kids area, poker, rides fantastic food, Sunday homemade fried chicken dinner, gambling, book sale, basket raffle, Bid and Buy and more. St. Thomas More JulyFest at St. Thomas More Church, 800 Ohio Pike, Cincinnati, OH 45245 Friday 7/8/16 – 6pm to midnight, Saturday 7/9/16 – 5pm to midnight, Sunday 7/10/16 – 1pm to 9pm ~ Bring family and friends out to the St. Thomas More JulyFest, one of the largest festivals on the eastside of Cincinnati. The St. Thomas More JulyFest is held the second full weekend in July, and is the major fundraiser for the parish. St. Thomas More’s JulyFest was voted best festival in Clermont County for 2005, and was a 2014 Cincy Magazine “Best of the East” finalist. The 2016 event will be held July 8th, 9th, and 10th. JulyFest offers great food and entertainment for the entire family. This year’s festival offers a large Children’s area, an expansive Midway for kids of all ages, amusement rides by Murray Bros. Shows, as well as Cincy Henna artist, Caricatures by Duff, JulyFest light toys, and several Cincinnati area mascots!!! JulyFest raffles include our Grand Raffle, and the winner chooses between $10,000 OR a 2016 Harley Davidson Sportster Iron 883!!! Our Special Raffle features a Samsung 55″ Smart TV and a Swiss model grill with all accessories. The JulyFest Helicopter Golf Ball Drop raffle offers tickets for $5 with a chance to win $1000 for closest to pin, as Stratus Helicopters will drop up to 600 golf balls on Sunday, July 10th. The St. Vincent DePaul can raffle offers a chance for a $500 cash prize for each can you bring! Our famous JulyFest casino will host several tables of blackjack, Texas Hold ‘Em, 7 Card Stud, and Let It Ride, along with 2 big screen televisions to watch the Reds and FC Cincinnati, and a JulyFest casino bar! 2016 Riverfest Regatta July 22-23 Riverside Dr, Augusta, KY 41002 “Come and experience “History on the River…My Old Kentucky Home” at The Riverfest Regatta in the little town of Augusta, KY, located 35 miles East of Cincinnati on the Ohio River. See the Old-Time Sternwheel Riverboats along the Riverwalk on Riverside Drive that will be lined with vendors and a wide variety of food temptations. Stroll our Main Street for dining and Antique shops. The entire town is full of hospitality, heritage and history. Cincinnati Children’s Choir Summer Festival July 25 – July 30, 2016 University of Cincinnati College-Conservatory of Music Cincinnati, Ohio 45221-0236 “Young singers interested in enjoying and developing their skills in musicianship will come together for an exciting week as they attend inspiring, interactive sessions at the University of Cincinnati, College-Conservatory of Music. Sessions will include Vocal Artistry, sight-singing, Musicianship through Movement, Music Theory, and Choral Artistry. Boone County 4-H and Utopia Fair August 8th – 13th 5819 Idlewild Rd, Burlington, KY 41005 The Boone County 4-H and Utopia fair is currently in its 84th year of operation and still represents the spirit of a family/community fair. Maysville Oktoberfest August 12 & 13, 2016 Maysville Rotary Club ~ Historic Downtown Maysville, KY Free Admission Attractions include: German Bands and entertainment, German foods, Parade, Wiener Dog Races, Tug-O-War contest for all ages, Log Sawing and Stein Hoisting competitions, King and Queen contest. Anticipate a weekend full of food, music, and fun honoring our local German heritage. Held annually on the 2nd Friday and Saturday of August! Taste of Mission Saturday, August 20, 2016 1318 Nagel Road, Cincinnati, Ohio 45255 Stop by the 7th annual “”Taste of Mission”” to learn more about the Comboni Missionaries and our work around the world. Enjoy authentic food from Italy, Africa, Ecuador, Venezuela, Mexico, and many other countries while watching live performances. There will be dancers and music from Africa and the Americas, other live entertainment, international beers and wines, a mission market, art and artifacts exhibits, face painting, and other activities for all ages. Hamilton Dragon Boat Festival August 20, 2016 10am – 2pm Great Miami Rowing Center RiversEdge Park & Ampitheater; 116 Dayton St, Hamilton, OH 45011 FREE A day of colorful, lively fun awaits at the inaugural Hamilton Dragon Boat Festival presented by the Great Miami Rowing Center. Races in real dragon-disguised boats, Chinese food, culture, and dance combine to make this a day on the Great Miami River that you won’t forget. Taste of Blue Ash August 26-28 Summit Park 103.5 WGRR Taste of Blue Ash 2016! The City of Blue Ash’s premiere event featuring various types of cuisine from local restaurants, entertainment, festival rides, games and more! August 26 from 6-11PM; August 27 from 2-11PM; August 28 from 2-9 PM Entertainment Schedule coming soon! Ohio Renaissance Festival ~ September 3rd through October 23rd. Saturdays, Sundays and Labor Day Monday, open from 10:30am until 6:00pm. Step back in time for jousts, live music, tasty grub, fantastic entertainment and much much more. Make it even more interesting by dressing your family up for the occasion! Taste of India September 10th 4920 Klatte Rd, Cincinnati, OH 45244 Named “The Largest Indian Festival of the Midwest”, Cincinnati’s 16th Taste of India Festival was created to draw attention to the rich Indian culture in Cincinnati by providing a showcase of various Indian dances, restaurants, shops, communities, and local businesses. The Taste of India brings the festival “Mela” and the dance competition “Naach Sitare” together for one adventurous experience. You will taste and see the culture of India with this year’s exciting line up of exotic flavorings and artistic creations. Indian restaurants will be offering various cuisines and desserts while other vendors will be selling Indian clothing, jewelry, and spices. The festival also features local arts and crafts, live entertainment, children’s games, a silent auction, and a raffle. The dance competition will present diverse forms of Indian dance beginning at 1:30pm. Rozzi Fireworks sponsored by Mercedes Benz of Cincinnati will conclude the event at 8:15pm. This is a CASH based event with NO ENTRANCE FEE, but donations are encouraged as all proceeds benefit the Hindu Temple of Greater Cincinnati. For more information regarding the Taste of India, please visit www.TasteOfIndiaCincinnati.com or call 513-258-5805. St. Vincent Fall Fest September 24 and 25th at 7754 Montgomery Road ~ 2 day festival: Bid n buy, basket raffle, kiddie korner rides, games, great food, craft beer and bands. Chili cook off on Sunday. Art Off Pike ~ Sunday, September 25th Off Pike Street in Covington A Covington favorite is back! Join artists and vendors to celebrate the urban art scene in Covington. Family Fall Fest & Craft Show 10/1/2016 10-5pm New Hope Community Church 3707 Edgewood Dr. 45211 A family friendly Fall Fest with plenty to entertain all ages! Craft vendors, live music, food & fun! Cincinnati Art & Antiques Festival October 23-October 25, 2015 Cincinnati Music Hall, 1241 Elm Street, Cincinnati OH 45202 The 50th annual Cincinnati Art & Antiques Festival will feature 30 outstanding art and antiques exhibitor. Located in Cincinnati’s historic Music Hall, vendors will showcase 18th, 19th and 20th century fine art, prints, posters, silver, and English, American Continental furniture and accessories in stunning room settings. Tickets are $10, can be purchased at the door, and are good for 3 days of admission. Join us for a lecture and luncheon on October 23rd from 11-2, featuring founder of Blackberry Hill Kreis Beall and acclaimed interior designer Suzanne Kasler. Tickets are $60 and include a gourmet basket lunch from The Phoenix. Reservations are required and can be made by calling 513-561-0950 or by visiting www.CincinnatiAntiquesFestival.com. Covington Night Bazaar ~ Dec 2, 3 at 3rd & Court Streets in Covington ~ A local shopping event during the winter holiday season. Editor’s Note: Also, upon publication all of the information in this post was current, but circumstances may change due to weather or other reasons, so be sure to double check the festival website before heading out for fun!